A few years back when a delegation from Europe landed at Srinagar, the officials receiving them at the Srinagar airport welcomed them to the Firdous Barein Zameen, the heaven on earth. Passing through the bunkered road to a high-end hotel, the manager extended the welcome in the same style. After lunch, they were driven to the civil secretariat where the bureaucrat recited the entire couplet. This is precisely what has happened to the Brand Kashmir. Based on the medieval literature, there has not been any major contribution by the society in last many generations. The only recent addition was the turmoil that made Kashmir “famous” partly because of the nuclear angle of the region. The fact is that Kashmir sends more dissatisfied visitors home, sells more saffron than it produces, purchases and re-sells more Punjab manufactured “Kashmir handicrafts” than it can ever produce, axes walnut trees for furniture, consumes best Californian almonds and still, it has faith in Brand Kashmir. Kashmir produces seven million kgs of wool a season but sells it to textile sector in the mainland India without processing even one percent of it. But what makes the Brand Kashmir? It is a huge basket. The breath-taking meadows and the efforts by the hospitality professionals for centuries to get the visitors, at one point of time, on their backs, the peculiar climate, and the powdery snow, considered best for the skiing, and hospitable high altitudes, are some of the few specialities that are endemic to Kashmir. Kashmir’s craftsmanship is legendary. The finest handmade carpets, shawls, woodcarving are some of the items that have made Kashmir famous since the love of Josephine, the queen of Napoleon, set Paris high fashion street’s on fire. Then there are spices. Though Kashmir’s status of being India’s principle apple basket is dented to a larger extent as the production mushroomed in Himachal and other north-eastern states, Kashmir is still the sole address for saffron and walnut. That is precisely the main brand basket. Europeans might have been correct in their comparisons between their homeland and Kashmir but they fail in recognising the reality that the Brand Kashmir was entirely in the exploitative possession of the regimes for many centuries that lacks any emotional connect with the place. Brand Kashmir was taken over by the people only after the exploitative Dogra rule ended and the priority remained to produce and not sleep hungry. That took its own time and the subsequent conflict devoured stability and a society’s energies, and more recently various generations in their most productive age. But this also is a reality that the successive governance structures have failed in contributing towards the promotion of Brand Kashmir. At one point in time, there was a serious thinking that there should be an exclusive budget that will fund the promotion, across the sectors. In handicrafts sectors, an amount was actually set aside but what happened to the initiative is still not public knowledge. There is a consensus amongst stakeholders that the hospitality sector requires more professional training and the size of the relevant institutions should improve. The recurrent crisis faced since 2014, however, is delaying this initiative because a lot of workers from the sector moved to other activities for the obvious reasons. The agricultural sector is facing stagnation in growth but apple area is gradually getting into the modern systems, both, in pre and post-harvest. Saffron, one of the niches Kashmir has in spices, is facing serious production crisis and choking because of urbanisation. The worst is being faced by the handicrafts; an area that is a major stakeholder in what Kashmir brand is all about. 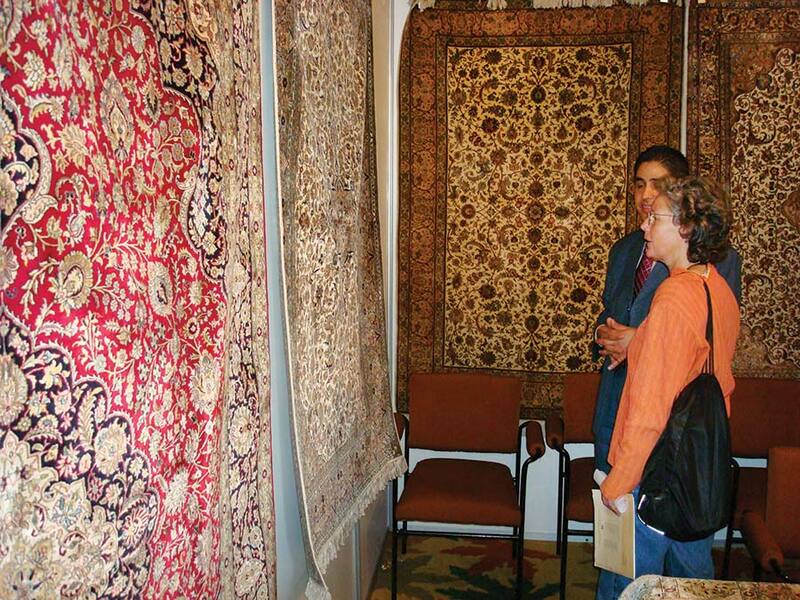 Carpets were a major forex earner but the swift economic changes taking place across the global economies and a stiff competition from other carpet-weaving countries especially Iran, Kashmir is choked and a lot of inventory is blocked. In case of shawls, the crisis is slightly different. The demand is fine but most of the manufactured material is coming from Punjab. Even the “pure” Pashmina that is in the market is highly doubted. This is beside the crisis triggered by failed tourists seasons. The government had set up the Craft Development Institute (CDI) with a clear mandate and it did deliver on various fronts including getting GI for various items. In the second stage, the institute was supposed to guarantee the genuineness of a handicraft item. It is there that it started facing problems. Had it been in vogue, shawl and some other items would have restored their grace to a large extent. The tension is that the Brand Kashmir has emerged into a blame game between the society and the governance structure. The problem is that neither side is willing to take its bit of the blame that compromised the heritage brand.